Centrally located on the Oregon Coast, in beautiful Florence. The Florence Events Center is the only facility on the Oregon Coast that provides the flexibility of a beautiful 500 seat proscenium style theater with an 8,000 square foot flat floor conference center. 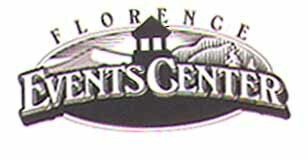 Centrally located in Florence, the city of rhododendrons, the center hosts a wide variety of events including conferences, banquets, receptions, meetings, festivals, fairs and the full spectrum of performing arts. The center hosts the annual Florence Fall Festival, Community Health Fair & Home and Garden Show just to name a few. Concerts, ballet, symphonies, plays, magic shows or general session speeches, you'll find they're all at home on stage at the FEC. Boasting excellent acoustics, comfortable seating with terrific sightlines and ample space on and off stage, the intimate theater making every performance an enjoyable one. Full in-house catering, complimentary audio/visual and exhibit equipment, box office services with an attentive and trained staff.